It’s pretty easy to spot the Britons abroad – but this time it’s not sunburnt skin or pints of beer, or even football chants. No, this time it’s a little easier. They’re surrounded by gigantic union flags. Coventry-made self-driving vehicles which will form part of the biggest autonomous vehicle trials in the UK are ready to roll. 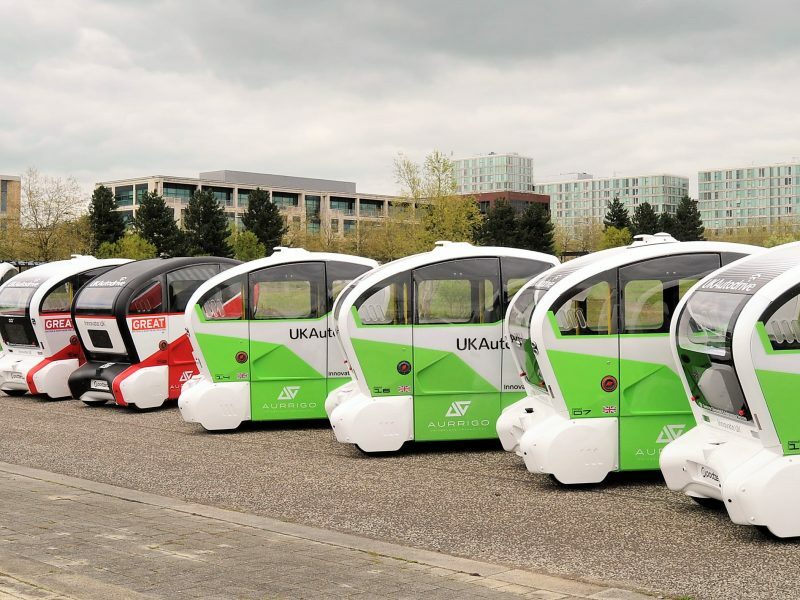 Ten ‘Pod Zero’ vehicles made by Aurrigo, a division of RDM Group, have arrived in Milton Keynes, where they will soon be taking to the pavements and streets of the town. Gentile Utente, ai sensi dell’art. 13 del D.Lgs. 196/2003 recante disposizioni a tutela delle persone e degli altri soggetti trattamento dei dati personali, desideriamo informarLa che i dati personali da Lei comunicati al momento della registrazione sul Sito e della compilazione dell’ordine saranno utilizzati da al fine di svolgere le operazioni da Lei richieste. The UK’s first ever ‘whale of pods’ has arrived in Milton Keynes thanks to the efforts of a Coventry-based autonomous vehicle specialist. Aurrigo, a division of RDM Group, has delivered 10 ‘Pod Zeros’ for use in the next stage of UK Autodrive that will shortly see self-driving vehicles taking to the pavements and streets of the town. A Coventry-based autonomous vehicle company has delivered ten ‘Pod Zeros’ to Milton Keynes to be used in the next stage of a self-driving project. Aurrigo, a division of RDM Group, has developed the pods for the UK Autodrive scheme and will be taking to the pavements and streets of the town. This gives the company the presence on the ground it requires to safely and effectively oversee the testing before it goes live with passengers in the Summer when up to 40 pods – capable of travelling up to 15 miles per hour and lasting up to 60 miles off one charge – will operate from Central Station to Campbell Park and Silbury Boulevard to Avebury Boulevard. The UK’s first ever ‘whale of pods’ has arrived in Milton Keynes thanks to the efforts of a Coventry-based autonomous vehicle specialist. Aurrigo, a division of RDM Group, has delivered 10 ‘Pod Zeros’ for use in the next stage of UK Autodrive that will shortly see self-driving vehicles taking to the pavements and streets of the town.